heyecanlı ve çekişmeli sahnelerle son bulurken pilotlar ve markalar 2015 için şimdiden hazırlanmaya başladılar..
Büyük ilgi gören ve gittikçe seyircisi artan yarışta, Türkiye'de yer almaya devam edecek. Türkiye'den pilot veya pilotlarında katılması/katılacak olması motorsporları olduğu kadar otomobil dünyası içinde önemli..
2014 Dünya Rallikros Şampiyonası'nı kısaca ve en adrenalin dolu tarafıyla izlemeye ne dersiniz? Üç dakikalık bir tur sizi bekliyor..
A short video highlighting the best action from this year’s FIA World Rallycross Championship presented by Monster Energy has been released on the official World RX YouTube page here. The three-minute video captures the excitement of the season’s first half which saw six different winners from six races: Petter Solberg (World RX of Portugal winner), Andreas Bakkerud (UK winner), Reinis Nitiss (Norway), Tanner Foust (Finland), Mattias Ekstrom (Sweden) and Topi Heikkinen (Belgium). The second half of the year saw rallycross break new ground as it travelled to Canada for the first time and Solberg became the first double winner in World RX. 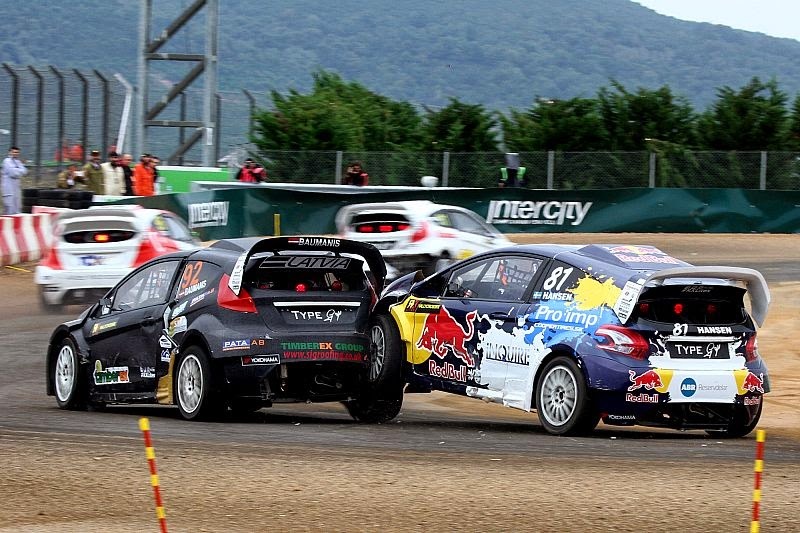 The French RX round which followed attracted a crowd of more than 70,000 fans. The 2014 season will also be remembered as producing the closest finish in rallycross history as Petter Solberg pipped two-time DTM Champion Mattias Ekstrom to the post by a mere 0.004 seconds to clinch the German RX victory. It is the closest winning margin in the sport’s 47-year history. Round 10 in Italy saw Solberg accrue enough points to become the inaugural FIA World Rallycross Champion with two events still remaining. The PSRX driver also entered the record books as the first person to become an FIA World Champion in two different disciplines. Turkey RX formed the penultimate round of the season and was staged at the former F1 venue, Intercity Istanbul Park, which Bakkerud went on to win. The fight for the Teams’ Championship went down to the final event in Argentina where Ford Olsbergs MSE clinched the victory over competitors Volkswagen Marklund Motorsport and Team Peugeot-Hansen.